A spin off of Grimm Fairy Tales, defense attorney Peyton Parks life is anything but normal. 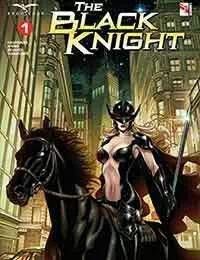 After being given the powers of The Black Knight from the Book of Fables, she has been riding the line of the legal system between attorney and vigilante. Now with her life finally slowing down some, a new threat has emerged from the shadows and Peyton may be the only one with the power to stop it.